Shoot, I haven’t had a word to say lately on this blog, except for my rantings or ravings regarding books I’ve read! Most of the time I think people would be just plain bored with my everyday life. But, why not a few updates? Today I cleaned out our freezers and ended up throwing a few freezer-burnt things out, and discovering a few items I didn’t even know we had! I made an awesome dinner tonight! I found a package of frozen sole during the clean out and turned it into a very yummy dinner. The deal is, hubby will eat fish on occasion, but ONLY if it does NOT taste like… well, fish. I know that sounds crazy, but I’m usually fairly successful with sole. Tonight I breaded it with panko and lemon-pepper seasoning and fried it in some olive oil outside on the side burner of the barbecue (to avoid “stinking up the house”). We’d purchased some fresh Swiss Chard the other day at our local farmer’s market, so that was on the menu as well. YUM. I thought about rice or pasta or couscous, but nothing sounded better than good old potatoes to go with this dinner. So I thinly sliced some new reds and did a cheesy potato casserole in the oven. Well, it all turned out SO good and NO leftovers! I passed the “make fish taste good” test! YAY! This week I had my yearly doctor appointment. I don’t normally go every year, so it had been two years since I’d seen my friendly Family Practice doc. She checked me out from head to toe and went over lab work that I’d had drawn prior to the appointment. Everything looked great – except for my cholesterol. It was still the same elevated level as two years back, even though I’d done a lot of things to try and improve it on my own. I’ve lost some weight, taken my fish oil, switched to “Smart Balance” margarine, etc etc We decided that the time had come for me to start in on a low dose statin. These are the drugs that decrease your cholesterol when nothing else seems to help. I’m starting out on a low dose of a generic statin and am hoping I will tolerate it well. I sure don’t want my arteries clogged with cholesterol – so I’m hoping that this is a good thing. Next thing I need is a bone density test. Since my mother and all her sisters suffered from osteoporosis, my doc decided it was time to find out how MY bones are. So I’ll be scheduling that test soon. The doc of course questioned me about my exercise. I explained that I don’t get great exercise these days due to my BAD hip, but she encouraged me to do whatever I can do – so that means more upper body exercise for me…. and upper body exercise is KAYAKING!! Tomorrow is supposed to be lovely, so we are headed out for a bit of a kayak trip in the late morning. How good is it to get good exercise doing something you truly enjoy?? Tomorrow my oldest turns 34. HOW IS THIS POSSIBLE? I still remember going to the hospital early in the morning (4 AM) on August 12, 1977, walking around the maternity ward in labor, and thinking, “August 12th? Sounds like a good day for a birthday”! And it was. My little Aaron William arrived shortly after 4 in the afternoon, perfect and beautiful, weighing in at 7 pounds, 3 ounces. Happy birthday firstborn son! You know your mama loves you!! Next week we are expecting a visit from second born son and his wife, DDIL (Dear daughter in law). Can’t wait to get to see them, and also – to go see the movie “The Help” with DDIL. We both read the book and are really looking forward to that movie!!! It’s getting a 3.5 star review in our newspaper, so I hope it’s half as good as the book. Do be looking for more soon from my corner of the extreme Pacific Northwest, where summer equals 72 degrees and partly sunny days. I don’t think we’ve gone over 80 once this year! I shan’t complain however, not with all the misery thats happening weather-wise in other parts of the country!! By the way, the photo was taken last week at Olympic National Park, here in Washington – at Rialto Beach. My first time there, and honestly, I was blown away by the beauty!! 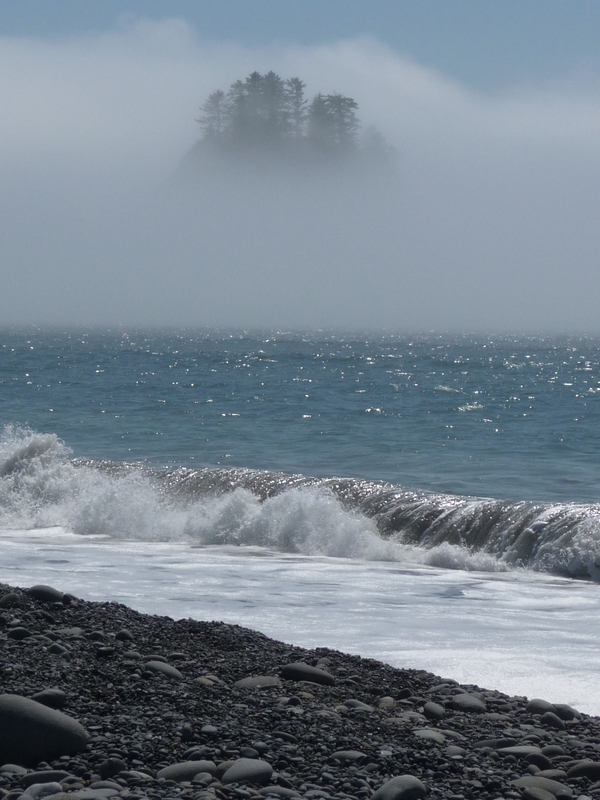 This entry was posted in General Musings and tagged bone density, Olympic National Park, Rialto Beach, Sole, statins, The Help movie. Bookmark the permalink.